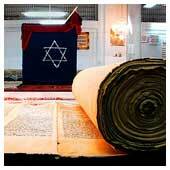 "Our mission is to provide affordable and accepted Kosher certification on an international basis. We are committed to the highest quality of customer service and are devoted to ethical and straightforward business practices. We in particular seek to make our Kosher certification services available to companies that embody a regard for human health, human dignity and respect the environment"
Rabbi Henri Noach was born in Paris, France. His father’s work involved onsiderable traveling, and since his youth he has lived in many countries, including Israel,Switzerland, Belgium, France, the United States, and Japan. It was in Belgium that he received his B.A. in Pre-Law from the Universite Libre de Bruxelles in 1974. Between 1979 and 1983, he received a B.A. and an M.A. in Middle East Studies and International Relations from the Hebrew University of Jerusalem. In 1995, he received an M.A. in Jewish Studies from the Jewish Theological Seminary (Machon Schechter) in Jerusalem. His rabbinical ordination also took place at the Jewish Theological Seminary (Machon Schechter) in 1995. Rabbi Noach’s professional career spans many areas, including Judaism, Zionism, and Middle Eastern Politics. He has been a lecturer on these subjects at various universities and institutions in Israel, including the Hebrew University of Jerusalem, the World Zionist Organization, the International Institute at Beit Berl College, and the Israel Foreign Ministry Institute of International Cooperation. He was Director of Jewish Ethiopian Educational Programs at the Jewish Theological Seminary in Israel and the World Union of Jewish Students, also in Israel. 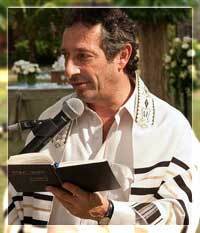 From 2002 to 2008 Rabbi Noach served as Rabbi of the Jewish Community of Japan. He has also taught Middle East Politics at Temple University. A devoted promoter of interfaith harmony, Rabbi Noach is a founding member of the Jewish-Christian Interfaith Dialogue in Tokyo. He currently teaches Jewish History at Waseda University. Rabbi Noach has long and wide experience, in Japan and throughout Asia, in the auditing and certification of kosher products. He looks forward to serving your company's needs.